Where to start when we are talking about Norway? 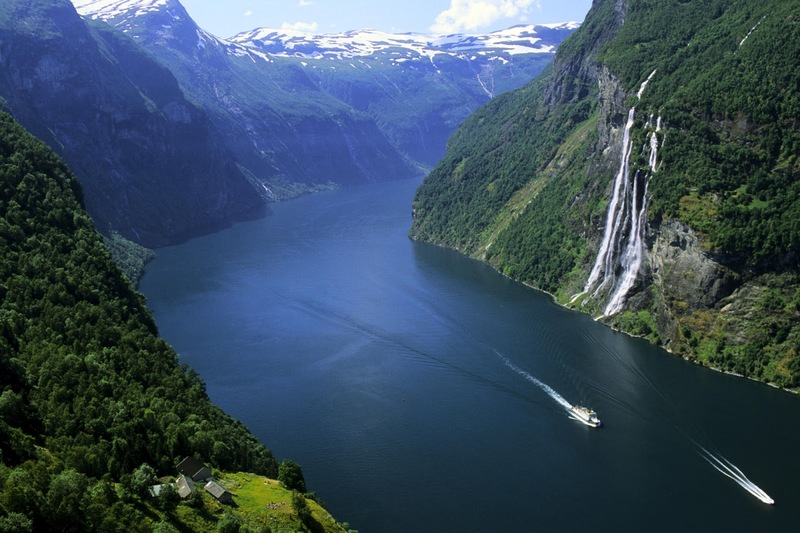 Norway is full of opertunities and there is a lot of different things to do. But if we are talking about what Norway is for me, I think we could sit here for hours and talking about Norway. When you hear Norway and you're not living i Scandinavia you might think polar bears in the streets, cold and snowy.. I was i Tyrkie this summer and a man asked me were i came from. Id said Norway.. "Ahh! you are from Coldway, snowy and cold all around the year." Yes, Norway is cold and snowy but as an typical Norwegian viking loving the sun og heat we pay thousands for every year, just to get back to Norway with a hint of tan skin just to survive the long, cold and snowy winter, we complaints if we even se a hint of the sun in Norway. "its so hot today!, i cant handle this heat.. its to hot to be outside today.." So we Norwegians are not easy to satisfy AT ALL. But we norwegians are so much more than complaning brats who spend thousands of money on somethning we apparently dont like. We got one of the most beautyful nature in Norway. And if you are one of the lucky one to see Norway on a sunny day who might will be speachless.. Norway is acutally amazing when the sun shining over our blue water between the high moutains and deep walleys. Norway is more than nature also. We have the world best skiiers that ever lived. Cross Country skiing is the national sport of Norway. With long wintermounths, snow in the mountains all year long and a whole skiing nation in youre back the conditions to bacame a good skiier are very high. I guess you have heard about Marit Bjørgen or Petter Northug Jr. This is two persons who have dedicateded their life to snow, coldness, pain, traing, a lot og training and more training. Personaly I am a skier to. I workout everyday, expose myself for pain that no one other than professional swimmers know about, snow, rainy autumns and looong winters. The motivation i get just to look at my models on TV help me through all that nagativity make me a good skier. To finish this post i would like to say that its typical norwgian to be very proud of the Norwegian country. I agree with you, we are proud of our country and the beautiful nature. I love your picture! Hi I am Nathan Genoways from Scottsbluff, Nebraska in the USA, you seem very excited about skiing, I myself have never been skiing. What kind of training does it require? Hi Nathan! I am Amalie Lundervold and live right outside the capital of Norway, Oslo in a town called Asker. To became a good skier you have to do a lot of traing. In a week I have around three workouts in a comfortable pace for around 1,5 to 2,5 hours. I do two very hard exercise in a week like uphill running or uphill roller skiing. I have two fitness workouts. One for my back, stomach, arms and stabilization. And one for my legs, like running or jumping in stairs. Thank you for taking time to comment on my blog! Hope to hear from you later. Wow! That is actually a pretty good workout,you seem very dedicated, I am a Martial Artist and I am enlisted in the military here in the USA so I go through a bunch of workouts weekly as well. I run 4 miles every day, and in my Martial arts gym I run,I do abdominal exercises, punch, kick and wresling techniques and train 7 days a week. Do you guys have Martial Arts like karate or jiu jitsu? You seems to be a very healthy person to! How old to you have to be to enter the military in USA? In Norway we have to be around 18 or 19 years old. I guess kickboxing is the most prevalent. We have a world championship in Kickboxing called Andreas Løprup. Nice I love kickboxing, it's a great sport and it builds a good foundation for all good fighters, and in the United States you have to be 17 years old and you have to be a senior in high school, and I have heard of that championship before, I love martial arts it connects cultures very well. Hey whats up I'm Isaac Palomo from Scottsbluff,NE USA. Norway seems like a pretty cool place to live, it looks like it has nice scenery. Norway have a beautiful scenery! You should really come visit Norway and get the chance to see our nature in real life! Thanks for stopping by my blog and take time to comment!